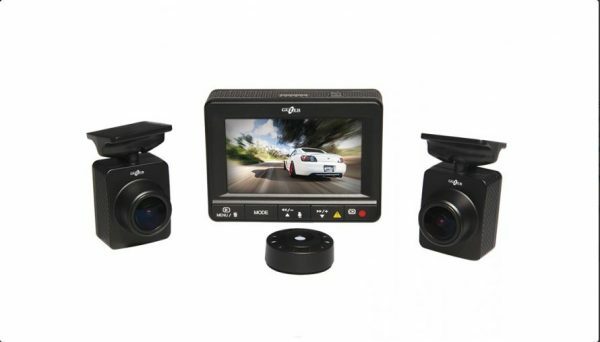 This is our best dashcam for cars, with excellent HD video recording capabilities on two channels plus superior driving and safety aids. Gazer F225 2-channel DVR is yet another innovative device from Gazer that combines the functions of a car DVR and a driving safety system. 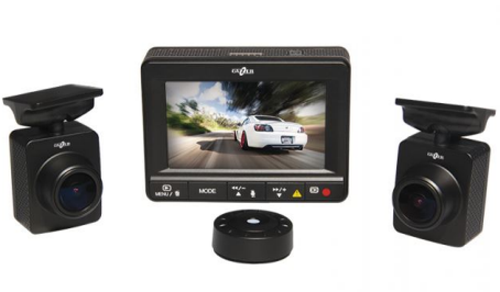 This is an indispensable device for security and video recording applications that meets the highest requirements for functionality and ease of installation in a car. 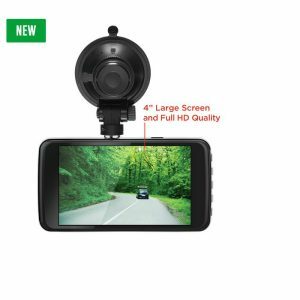 The model consists of a central processing unit with a built-in 2.7’’ display and 2 remote-mounted ultra-compact Full HD video cameras. 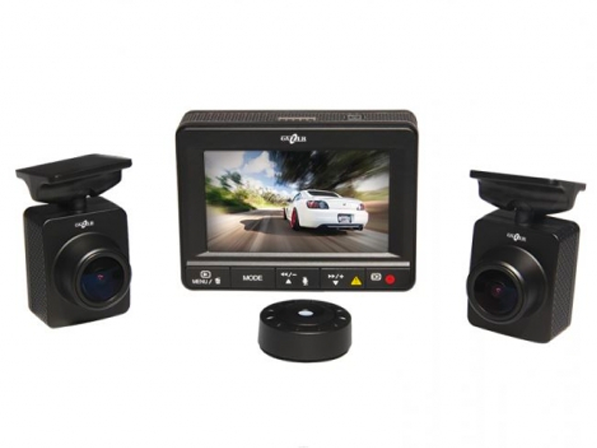 The second video camera allows you to capture what happens inside or behind the car. 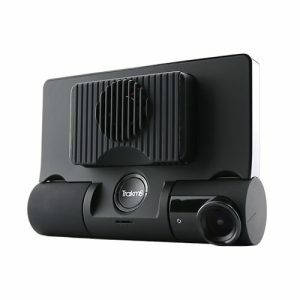 Video feed from each camera is recorded as a separate channel, while the support of various display modes enables viewing either each channel separately or combined video feed from two cameras simultaneously. 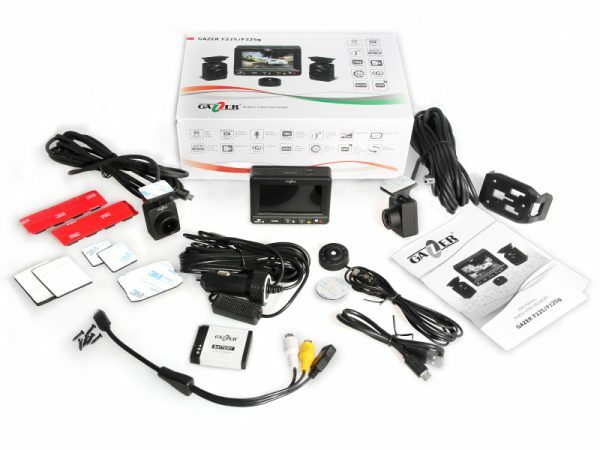 Gazer F225 DVR comes with two miniature video cameras mounted with a strong 3M adhesive tape on the car’s windshield and rear window or elsewhere inside the car. 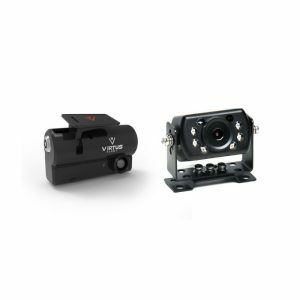 The special design of these cameras allows you to mount them at various angles to ensure an optimal viewing angle for recording. Each camera can also be mounted upside down. In this case, one needs to enable the flip image function in the selected camera. 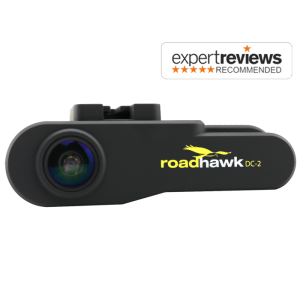 A wide-angle lens (160°) with DEWARP distortion compensation function makes sure that the camera accurately captures traffic conditions at intersections and multi-lane highways. 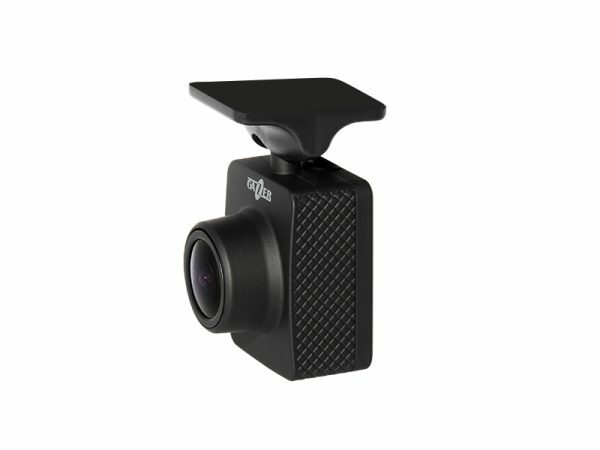 Premium optics with 1/2.7’’ sensor and a large aperture of F2.0 enable the DVR to record high-quality Full HD video not only in broad daylight but also in low-light situations. Additionally, objects that were over or underexposed during filming will always appear crisp and informative in the recording. This is possible thanks to WDR (Wide Dynamic Range) technology that is now widely used in professional video surveillance systems and helps equalise the exposure in the frame. 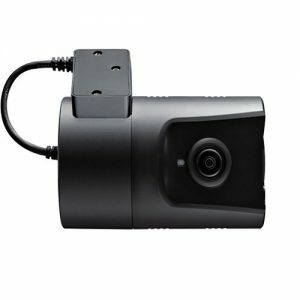 A video signal from cameras goes to a special processing unit that allows recording video feed from each camera in a separate channel. 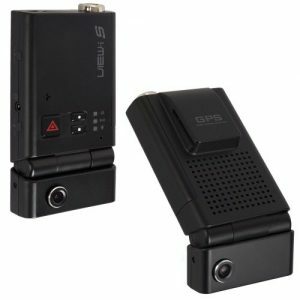 Video files from the front-view and rear-view cameras are stored in separate folders making it easy to navigate and search for a specific video clip. 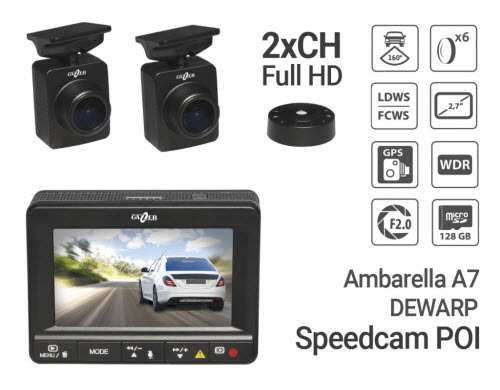 High-performance Ambarella A7 processor delivers maximum data processing speeds and provides the DVR with a wide range of useful functions, including intelligent technologies. 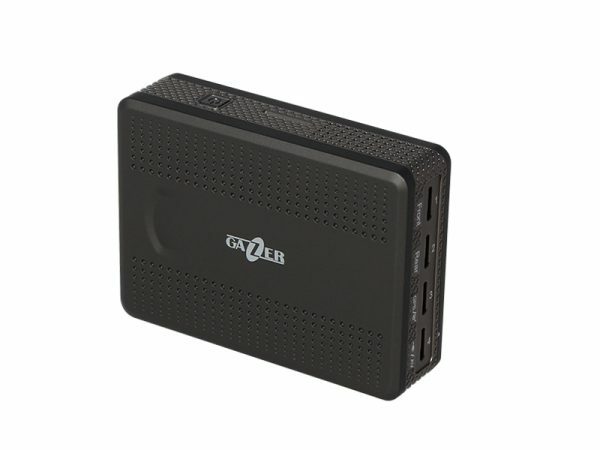 The Gazer F225’s distinct advantage is its support of up to 128 GB micro SDXC memory cards, which allows the storage of a large amount of video files. The Gazer F225’s processing unit has a compact body with a built-in 2.7’’ display. 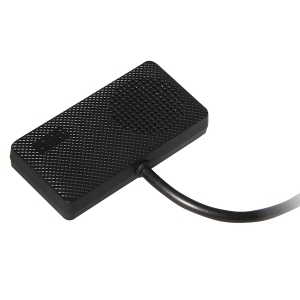 The unit’s relatively small size and practical design allow mounting the DVR on 3M adhesive tape in any place convenient for the driver. As a result, the device neither limits the visibility nor draws unwanted attention. 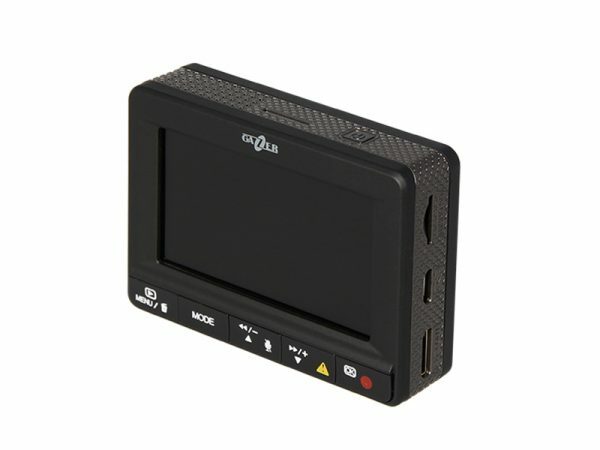 The support of various display modes enables viewing either each channel separately or combined video feed from two cameras simultaneously. 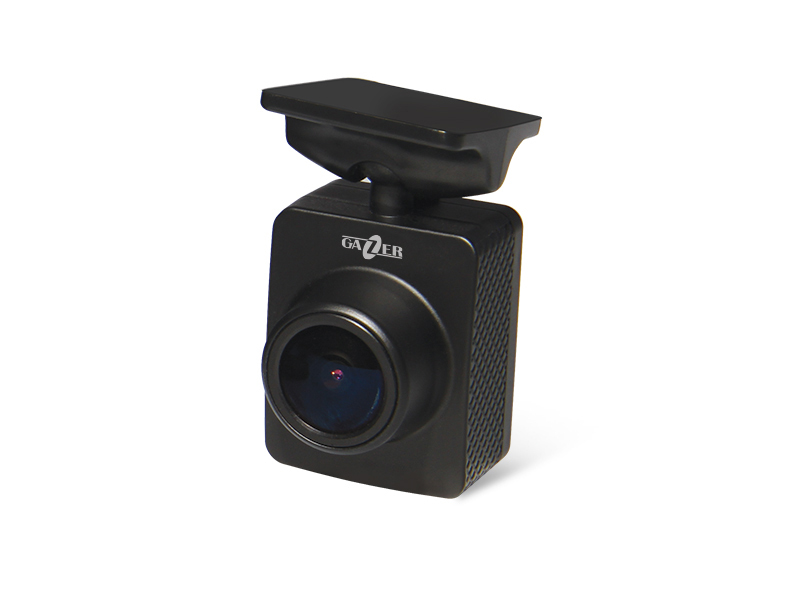 One press of a button – and the unit will switch to the Speedcam proximity warning mode (when using the included GPS module) bringing up on the display all information about the current speed of your vehicle, speed limit, distance to objects, etc. with simultaneous voice prompts. Dual camera Gazer F225 DVR features a three-axis accelerometer (G-sensor) that traces any changes in the car’s driving pattern: sudden acceleration, braking or impacts. Video clips recorded when the G-sensor is tripped are automatically protected from deletion as a result of loop overwriting. 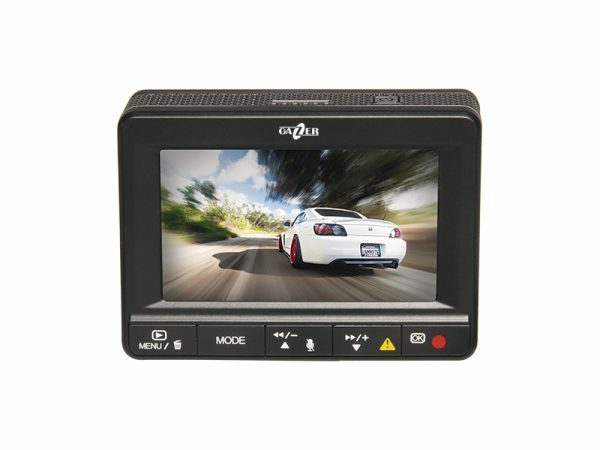 Therefore, the driver can be sure that all the most important video files will be safely stored on the memory card.